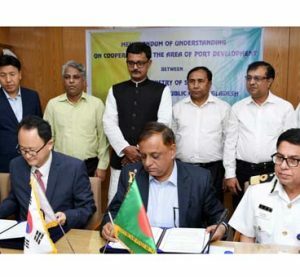 Bangladesh is moving forward gradually towards industrialization and tries her best in a bid to make a position among industrialized countries across the globe. 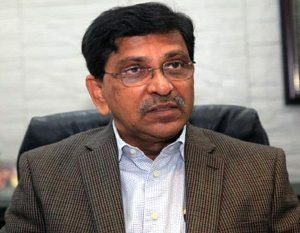 Mr. A.K Azad is one of those who have been playing a pivotal role to make an industrialized Bangladesh. A very young, energetic and sincere industrialist is the Chairman & Managing Director of Ha-Meem Group of Companies, one of the leading business conglomerates of the country. Under the dynamic leadership of Mr. A.K Azad, this group has been contributing significantly in a bid to expand RMG sector to a great extent. It is worth mentioning that once this country was famous for textile industry and especially for ‘Moslin’, this country was very well-known elsewhere in the world. But later on the British rulers and their allies hatched conspiracy to destroy the famous ‘Moslin’. Mr. A.K Azad is one of them who saved this industry during its bad days. Many entrepreneurs of RMG sector were scared about the post cota free situation but during these periods Mr. A.K Azad along with his fellow entrepreneurs moved forward with strong determination and faced the situation boldly. Now meeting the local demand the Bangladeshi RMG products are being exported to many countries across the globe including Europe and America and earning huge amount of (over 75%) foreign currencies. Mr. A.K Azad is playing a vital role to create markets of textile industry in other countries across the world. This talented and self determined industrialist Mr. A.K Azad comes of a respectable Muslim family of Jhiltuli, Faridpur on December 31, 1959. His father’s name is Late Alhaj MA Aziz who was a respected personality among the people of Faridpur. Mr. Azad did his B.sc Honors in Applied Physics in 1983 from University of Dhaka. After completion his higher education Mr. Azad did not try to have any government job rather he engaged himself with business. 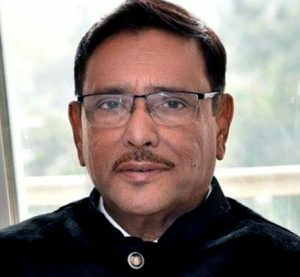 Despite having many impediments as well as problems in his business Mr. Azad overcome it with courage and by applying his merit and perseverance he established a business hub namely ‘Ha-Meem Group of Companies’ and since inception he has been carrying out his responsibilities as its Managing Director. Meanwhile Ha-Meem Group of Companies has earned name and fame both at home and abroad. 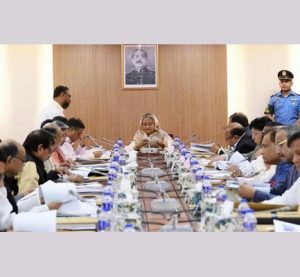 The uninterrupted continuation of this group is moving forward to the industrialization of the country and at the same time it has been contributing enormously in the economic growth of the country also. Mr. A.K Azad does not think the initiative of commerce and industry only based on profit; he considers it the best way for resolving the unemployment problems also. It seems to him if the private entrepreneurs are not coming forward to industrializations, the country might lag behind and the rate of unemployment people could have been increased many folds. A man of versatile qualities Mr. A.K Azad does not think only for his own business organization. He always thinks about the prospects and problems of the overall business and industry of the country. 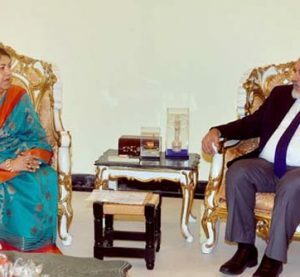 He was the president of Bangladesh Chamber of Industries (BCI) for the two consecutive periods. 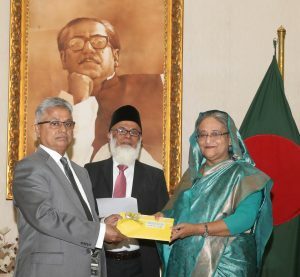 For his outstanding contributions to the growth of the country’s economy through commerce and business he has been selected Commercially Important Person (CIP) by the government of Bangladesh. The business activities of Ha-Meem Group have been expanding day by day under his dynamic leadership. This group has been investing in many sectors immediately including textile, Jutes, RMG, Banks and Insurance. He is the former director of Board of Investment (BOI). In Ready Made Garments sector he has already exported products of around two hundred million US dollars. The Apparel Brand of this group has a good demand in Europe and America. Alongside trade, commerce and industry Mr. A.K Azad is also involved in newspaper industry. 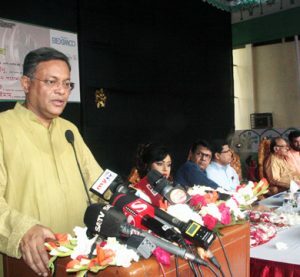 He is the founder and publisher of The Daily Samakal, a leading Bengali Daily of the country. He has also been contributing significantly in education sector. His father late MA Aziz was very much well known a social worker and education loving and in recognition of his contribution the people of his locality has established a High School after his name. Mr. AK Azad is also a social worker. He has extended his support and cooperation in many educational institutions in the form of contribution and ‘scholarship’ and he has helped to established many socio-cultural organization so far. His sons and daughters are highly qualified and also well established in their respective fields. This successful organizer, well conversant, hard working and very well known industrialist AK Azad has travelled many countries across the world on business and personal purpose. He has also been honored by many socio-cultural organizations for his outstanding contributions to the growth of our national economy.